We tested the Bissell Big Green carpet cleaning machine and the Rug Doctor Wide Track recently and this is our review and comparison. 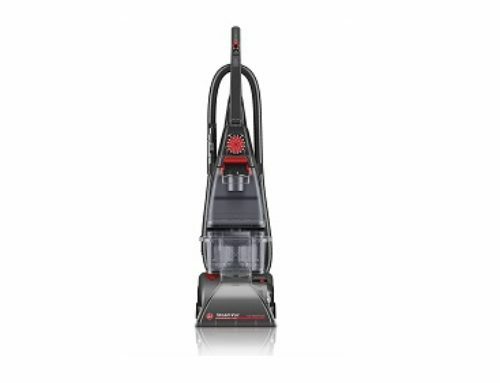 The Bissell Big Green is the professional-grade carpet cleaner from Bissell and its main competitor is the Rug Doctor. We’re testing the Rug Doctor Wide Track which has a slightly larger cleaning path width and a bigger tank than other Rug Doctors. We’ve seen several competitions between these two online. In all those tests, the Bissell Big Green is shown to clean slightly better than the Rug Doctor. Part of the reason for this may be that the Bissell uses a large brush roll where the Rug Doctor uses a vibrating brush bar. In any case, in our tests, the Bissell did slightly better than the Rug Doctor with the same number of passes, two with the water trigger pressed and two without. Though I should mention that in the first test we made the mistake of trying to use the Bissell without the handle reclined and we learned later that the brush roll does not spin unless the handle is reclined. But when we retested the Bissell, it did indeed do slightly better than the Rug Doctor. But that’s not the only reason we like the Bissell Big Green over the Rug Doctor. 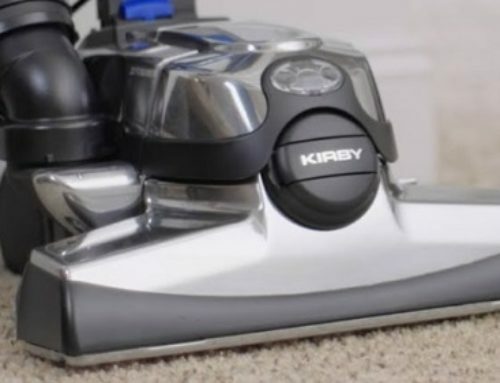 Another reason is that, unlike the Rug Doctor, the Bissell cleans with the forward motion and the backward motion compared to the Rug Doctor which only cleans when you pull it towards you. You have to rock it back on its wheels and push it forward to get back to the original cleaning position. The reclining handle on the Bissell also makes it easier to push and pull, giving it the edge and ease of use over the Rug Doctor. I would say that they are both incredibly well built and sturdy and they seem like they will last a very long time. So there’s no real difference there. With the water refilling, Bissell again has the edge because you can remove the water tank to fill it. Whereas with the Rug Doctor, you need to bring the water to the cleaner which seems unnecessarily complicated and potentially messy. Though the Rug Doctor does have doubled the amount of water capacity at 3.7 gallons so you wouldn’t have to refill it as many times as the Bissell. They both have optional hand tools for stairs or upholstery. They both get the job done but the brush on the Bissell seems more effective. The Rug Doctor brush just seems kind of sparse. However, the hose is much longer on the Rug Doctor at 12 feet instead of only 9 feet on the Bissell. Also it’s much here to attach the hose on the Bissell as with the Rug Doctor there are some connections that are a little harder to connect and a bit more confusing. So I guess you can tell I prefer the Bissell Big Green.